The stock market today soared with the Dow Jones Industrial Average and S&P 500 striking record highs on Friday after a positive jobs report and increased support from the European Central Bank. 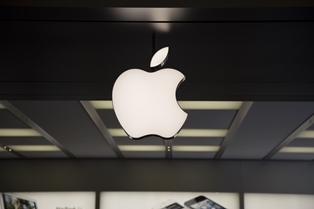 The Big Split Comes Monday: Investors in Apple Inc. (Nasdaq: AAPL) will wake up to a special treat on Monday. After six months of waiting, the company will engage in a 7-for-1 stock split. Although the company recently hit a 52-week high just north of $650 per share, the stock will open on Monday around $93. Shares haven't been available at that price since early 2009. Privacy Battles on Tap: European ministers agreed this morning that American technology companies must abide by the EU's new data protection laws. Though it's unclear how the EU will enforce violations, the announcement will force companies like Google Inc. (Nasdaq: GOOG, GOOGL) and Facebook Inc. (Nasdaq: FB) to alter its approaches to privacy in the future. An Absolute Wreck: Shares of Hertz Global Holdings Inc. (NYSE: HTZ) slumped more than 9% after the company announced it would have to restate its financial records from 2011 through 2013. The move comes after its audit committee discovered a number of accounting errors, drawing steep concerns about the firm's ability to ensure a strong grip over its financial controls. A Frothy Ride: The Wall Street Journal reports that on-demand car service Uber has raised $1.2 billion in new funding from investors, at a valuation of $18.2 billion. The private company is now valuated higher than W.W. Grainger Inc. (NYSE: GWW), Fifth Third Bancorp (Nasdaq: FITB), and Motorola Solutions Inc. (NYSE: MRI). It's unclear when the company will go public, but rumors continue to swirl about an Uber IPO later this year. They Can Hear You Now: They're Listening… On Friday, Vodafone Group Plc (Nasdaq ADR: VOD) announced that government agencies around the world have been able to access secret wires to listen to users' conversations. This is one of the first major, in-depth reports on how governments are able to tap into the mobile infrastructure around the world. Shares of the company's stock were up nearly 2% on the day.